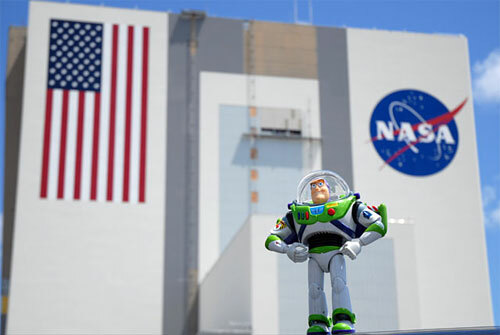 Disney’s Youth Educational Series and NASA have developed an online program known as the Space Ranger Education Series. It includes fun educational games for students, as well as materials for educators to download and integrate into their classroom curriculum. Since 1985, NASA’s Toys in Space project has used toys flown aboard the shuttle and the International Space Station to help children learn science and mathematics. Buzz Lightyear will return home with the crew of STS-126, on the space shuttle Endeavour, which is scheduled to launch no earlier than November 10th. 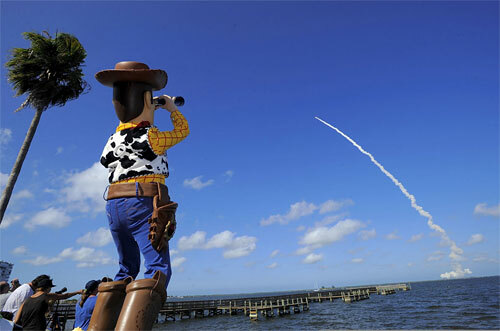 This entry was posted on Friday, June 6th, 2008 at 10:39 pm CET and is filed under Disney, Funny, Movies, Pop culture, Space	with tags Disney, iss, nasa, Space, toy story, video. You can follow any responses to this entry through the RSS 2.0 feed. You can leave a response, or trackback from your own site.